Bill Cunningham, long-time photographer for the New York Time’s Style section, put together a short video showing how the color orange is livening up not just the fashion scene, but city art and architecture as well. And that orange-wrapped New York City building he shows an example? 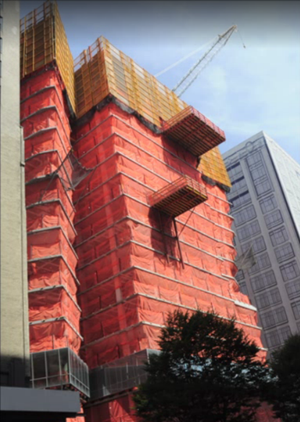 That’s Equity’s newest NYC development under construction at 28th Street and Park Avenue South, scheduled to open in the spring of 2015. This is just the first you’ll hear about how this new community is leading the way in style and elegance. Designed by Pritzker Prize winning architect Christian de Portzamparc, this extraordinary new high-rise will provide a rare opportunity to live in what will be a new architectural landmark in New York City. Located steps from Madison Square Park and among celebrated neighborhoods including Gramercy Park, Union Square and NoMad, residents will enjoy a vibrant downtown lifestyle with world-class restaurants, parks, shopping, green markets and convenient transportation options surrounding the building.